Life insurance is an important tool to help transfer risk. It may be purchased to transfer the risk associated with a premature death and provide for the surviving family. Life insurance can also be used to provide liquidity upon death so that assets will not have to be sold to pay for estate taxes. While overall life insurance is a valuable tool, the use of life insurance in estate planning can be problematic from a tax perspective. Because insurance proceeds are included in the estate and in turn subject to estate tax, many people look to find a way to exclude their life insurance from their estate. One potential way to do this is through the use of an Irrevocable Life Insurance Trust. If you don’t own your policy and proceeds aren’t payable to your estate, then it’s not considered part of your estate. Your policy will be owned by the trust, therefore allowing for some relief from taxes. Don’t let the word trust intimidate you. Trusts are not just for the uber-wealthy and can prove beneficial to people of differing levels of wealth. Through the use of an Irrevocable Life Insurance Trust (ILIT), the trust, which is a legally constructed entity able to own property, can purchase the policy or the policy can be absolutely assigned to the trust. The trust document will appoint a trustee to administer the assets that are owned by the trust and will provide the terms under which they should be administered. The document will also designate beneficiaries and detail the terms by which the beneficiaries will receive benefits from the trust. Because the trust is irrevocable, it’s critical to understand that this kind of trust cannot be altered once it’s established. It’s set in stone. Why Use A Trust And Not Another Individual? Control- Trust agreements can be extremely flexible documents and can be drafted to meet a wide variety of goals. The grantor (the creator of the trust), who cannot make changes to the trust agreement after it has been executed, has dictated the ultimate purpose and use of the trust assets. Protection of trust assets- The assets of the trust are separate and distinct from the trustee's other assets. Thus, they are protected from the trustee’s personal creditors. No adverse tax implications for trustee- The trust is a unique tax entity, distinct from both the insured and the trustee. If the trustee dies, the policy is not part of the trustee’s estate and, therefore, has no adverse impact upon the trustee’s estate. Abundance of suitable trustees- There are many choices regarding the selection of a trustee. The trust creator may select any responsible individual or group of individuals to act as trustee or co-trustee, or may select a corporate trustee. Because a trustee is bound to adhere to the administrative terms contained in the trust agreement, the trust creator is relying on the law, not on individual judgment. A funded ILIT is funded with the insurance policy plus additional assets which can be used to pay premiums. This arrangement is not used as often due to possible gift tax consequences of contributing the additional assets to the trust. An unfunded ILIT is funded by the life insurance policy only, and no additional assets. Each year, the grantor must make annual contributions to the trust to provide the funds needed to pay the premiums. 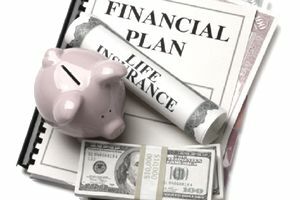 An ILIT can be a great way to seek tax relief from your life insurance proceeds. However, as with all personal finance matters, every person has a unique set of circumstances. For this reason it is always best to seek the advice of a qualified professional who can help you navigate these sometimes murky waters. Disclaimer: This information is provided to you as a resource for informational purposes only. It is being presented without consideration of the investment objectives, risk tolerance or financial circumstances of any specific investor and might not be suitable for all investors. Past performance is not indicative of future results. Investing involves risk including the possible loss of principal. This information is not intended to, and should not, form a primary basis for any investment decision that you may make.